Add to your flying skills with these specialised professional and recreational courses. You can strengthen your aviation skills by taking specialty-flying courses at Southern Wings. Mountain flying is a particularly rewarding course, offering recreational pilots the challenge of advanced flying as well as stunning scenery. A “C” Category Instructor Rating after the conclusion of your CPL will enable you to work for a training organisation where you will provide flight training and ground theory to those working towards theirPPL and CPL licences. This is often used as a stepping stone to further employment, an Instructor Rating also hones and refines your flying skills. Although Sothern Wings mountain flight training courses have been offered to students for quite some time, recent changes to Civil Aviation Rules require that terrain awareness and basic mountain flying become essential components of the flight training syllabus from July 2011. 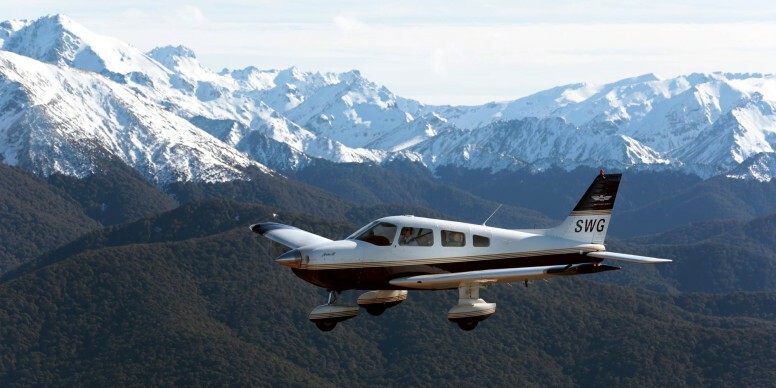 Originally Southern Wings mountain flying courses were designed to be an integral part of our Commercial Pilot Licence syllabus due to the perception of a deficiency in the ability of many pilots who fly in the mountainous parts of New Zealand. Our aim was to address the problem and produce safer and more proficient pilots. This is now a requirement throughout New Zealand. The introduction to mountain flying involves various flights around the magnificent terrain of Fiordlandand Southern New Zealand and is taught as stand alone lessons as well as incorporated into cross country flights. Students learn to understand the limitations of the aircraft and the pilot, as well as the effects of the terrain on movement of the air and other aspects of the weather. Instructors conducting the mountain flying components of the course are operational commercial pilots with experience in and around mountainous terrain. Southern Wings also offers an advanced mountain flying course for those who wish to fly as professionals in a mountainous environment. This will include flights into Milford and the Mt Aspiring and Mt Cook regions. This may be either a rating or an introduction to Aerobatics including spinning, loops, aileron and barrel rolls, stall turns and snap rolls. Aerobatics is a great way to improve co-ordination and confidence in your own piloting ability and in your aircraft. Our Alpha 160A’s are fully aerobatic and are nimble and light and help improve your stick and rudder skills.